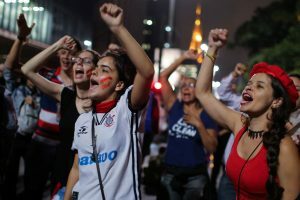 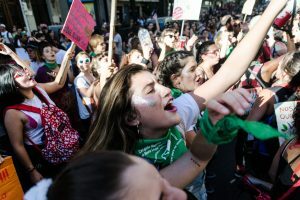 In just a couple of months, we could see a gargantuan victory for reproductive rights and bodily autonomy in the South with the Repeal referendum. 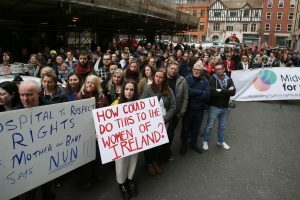 The potential for discarding of the Eighth Amendment – which equates the existence of a foetus to the life of the women carrying it – and abortion being made available up to 12 weeks upon request is historic. 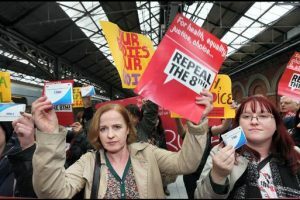 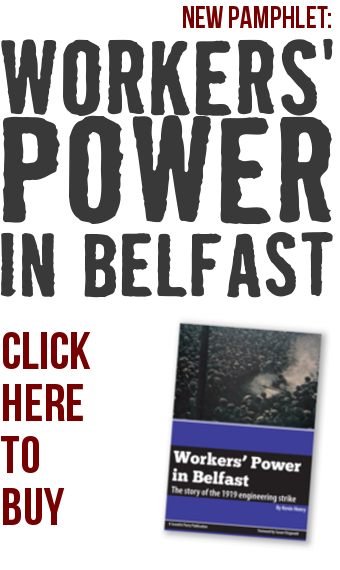 North & South: People Demand Abortion Rights NOW! 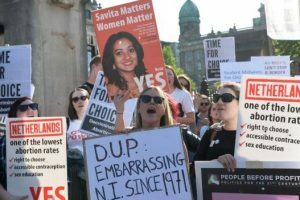 It’s 50 years since the 1967 Abortion Act was passed in Britain, and yet, women in Northern Ireland are still denied the right to choose. 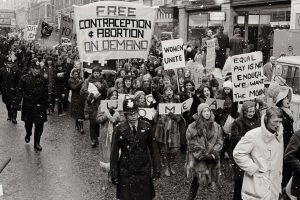 Making abortions illegal hasn’t stopped women from having them. 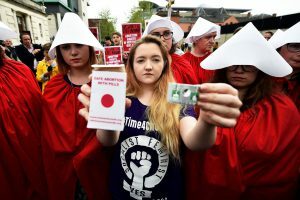 It has simply forced them to travel abroad at great cost, risk criminalisation for accessing abortion pills or put their lives at risk with other, dangerous methods of termination.